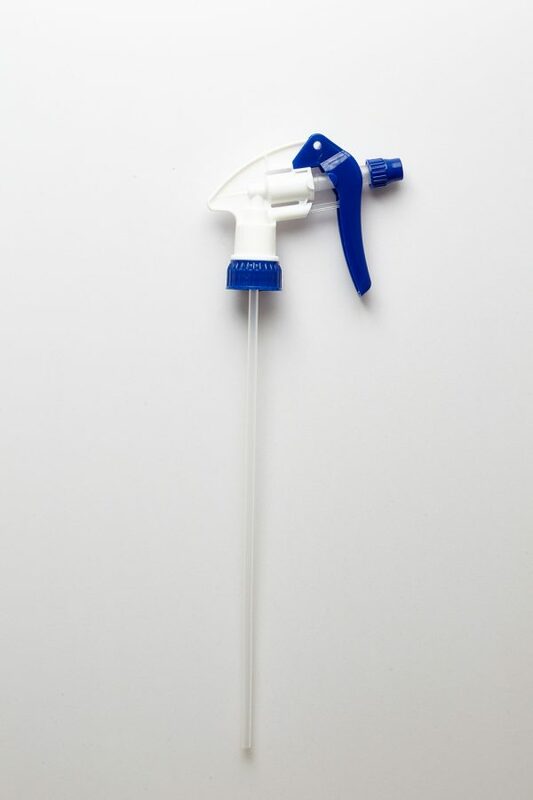 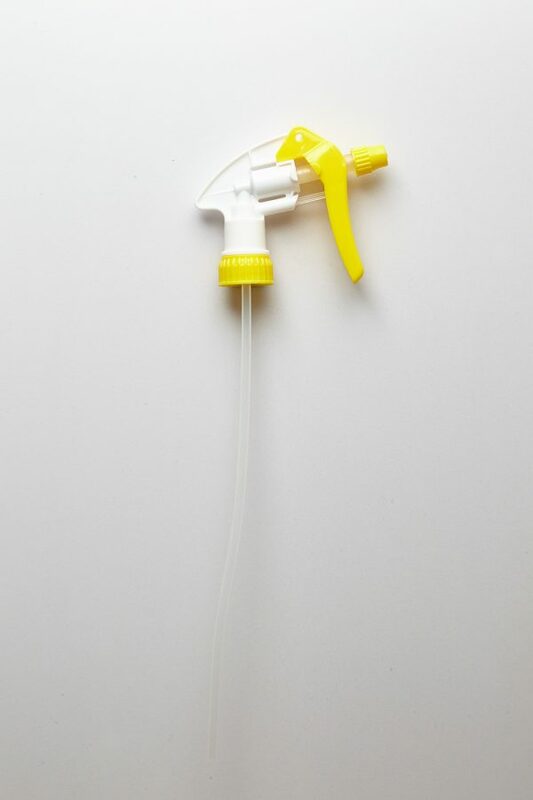 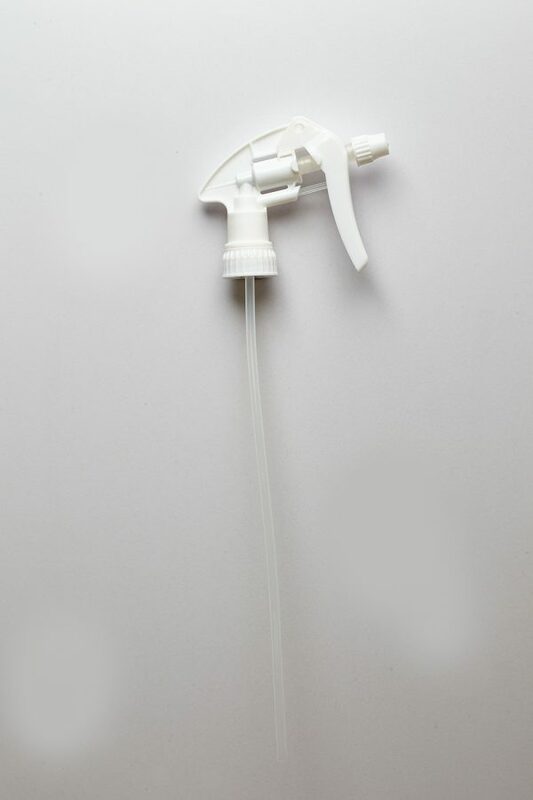 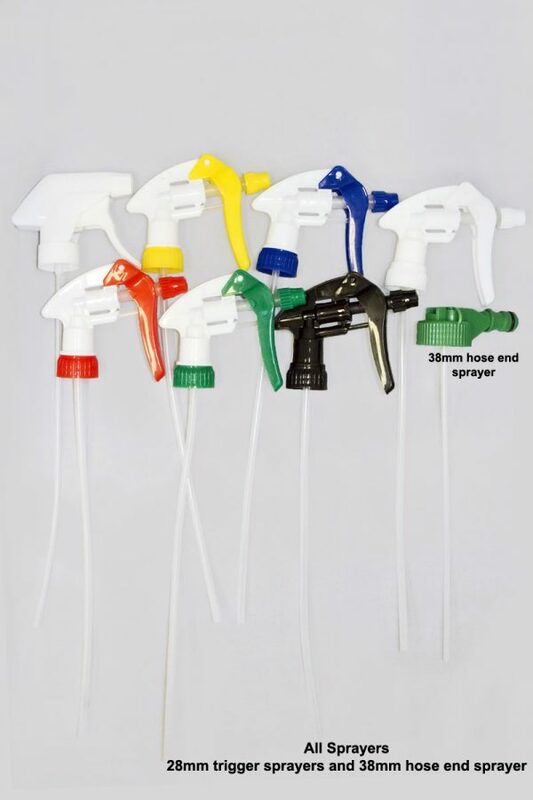 These have a 28/400 cap which suits many spray bottles. 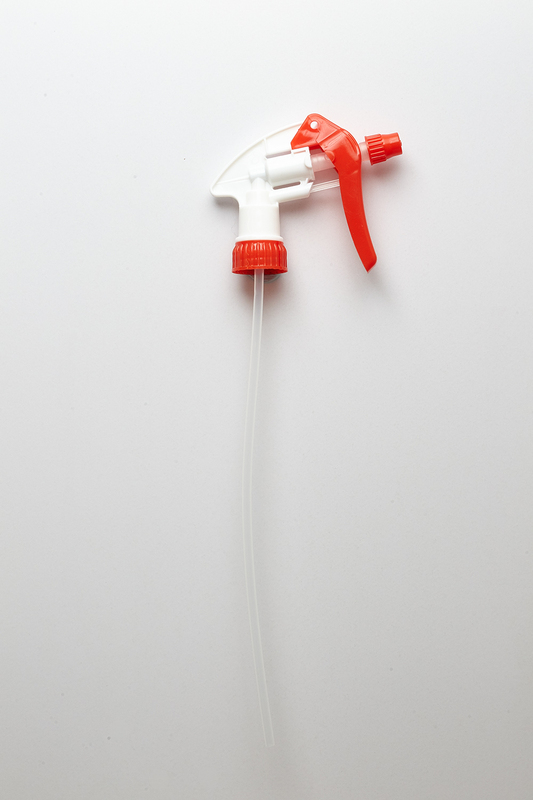 Our sprayers do not have an o-ring which is usually the part that fails first on a trigger sprayer. 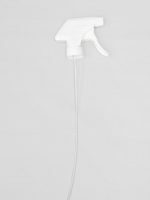 Our household version is code 900200 and is available in white. 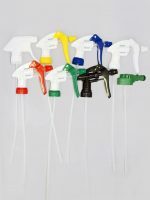 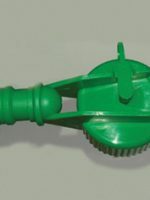 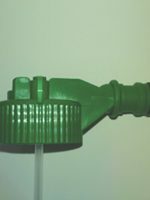 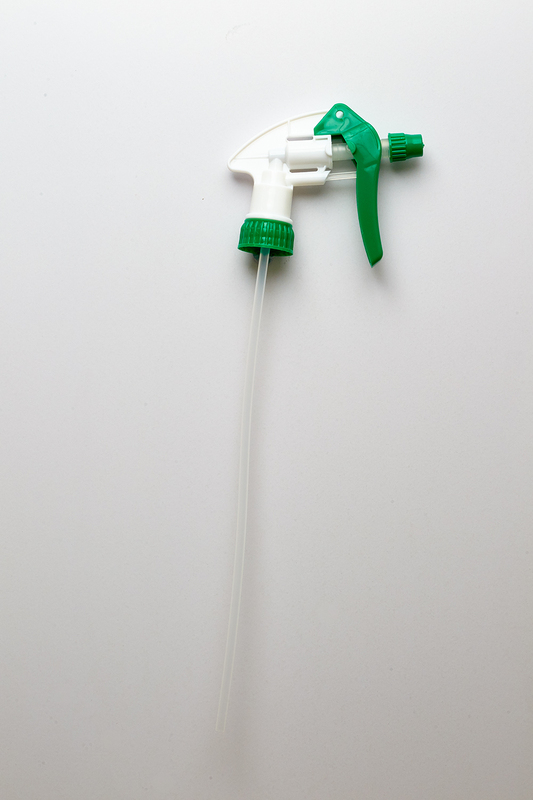 Our hose end sprayer is code 900300 and is available in green ex-stock or other colours for indent orders (MOQ applies). 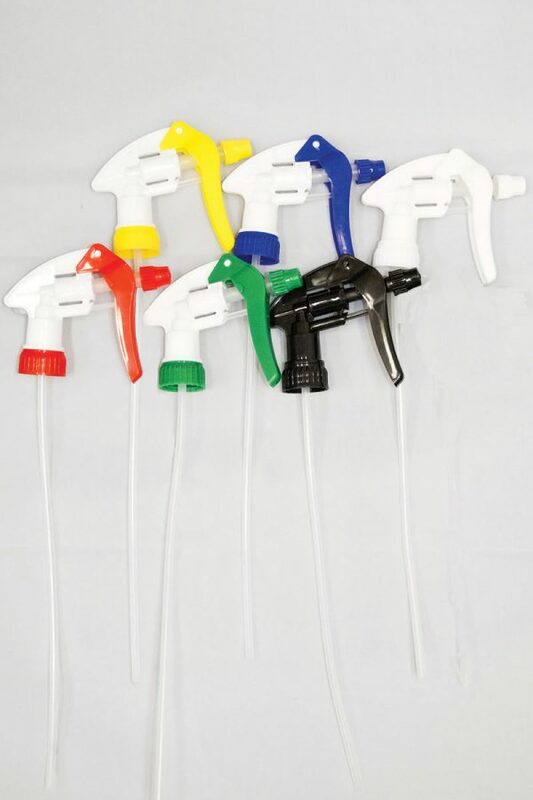 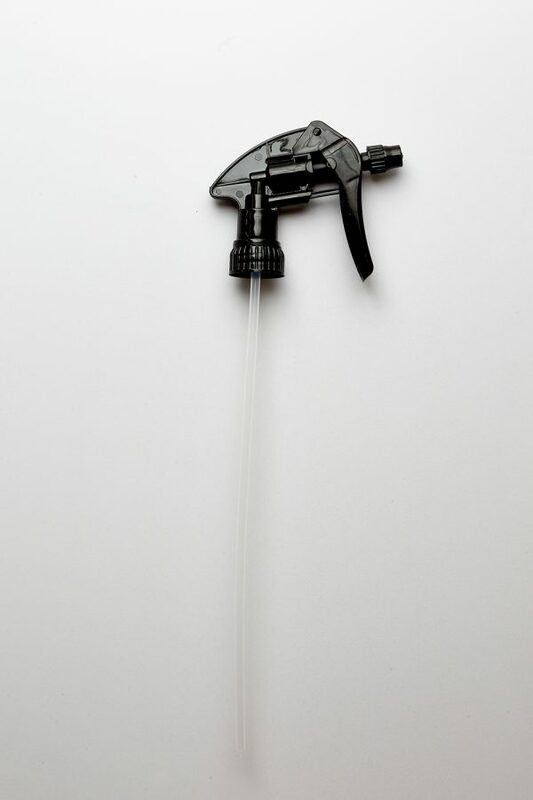 We only have 38mm hose end sprayers.